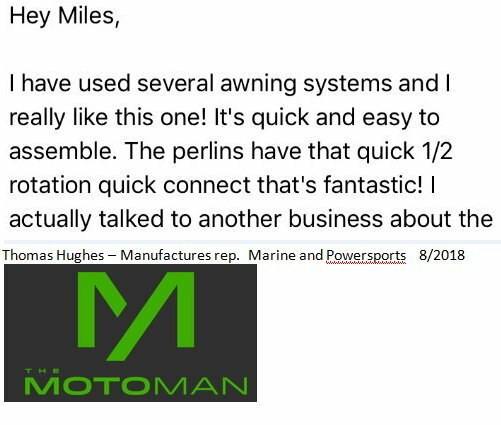 Patent pending Cam Lock quick connects. 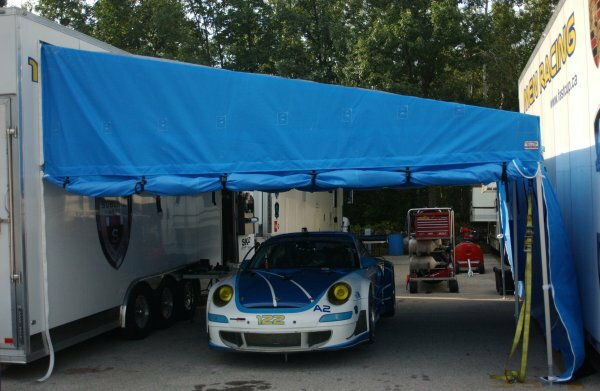 When your time is valuable, choose the Ultimate Awning. 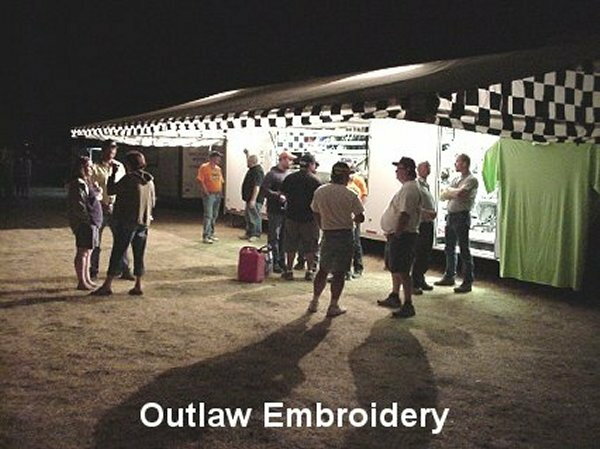 Compliant with GSA/FTC Made in USA requirements. 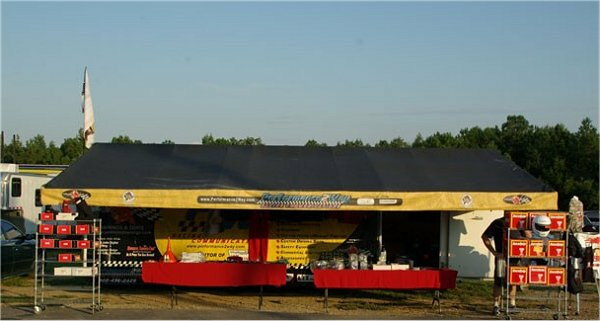 Call 612-816-9644 for other sizes and trailer types or see our other ads. 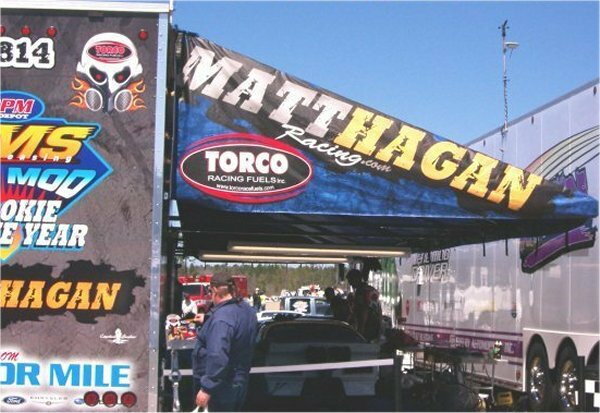 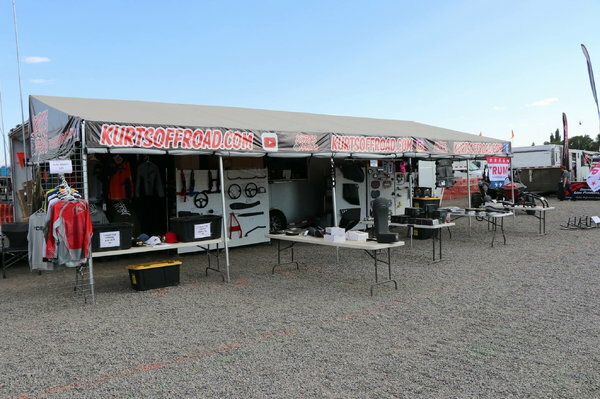 We have been manufacturing custom race trailer, mobile marketing and hospitality awnings since 2003. 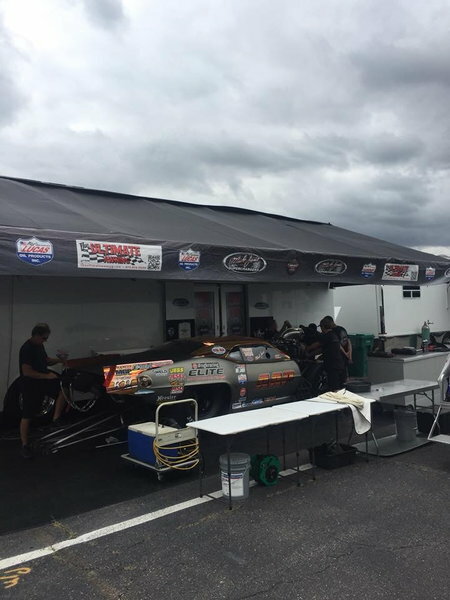 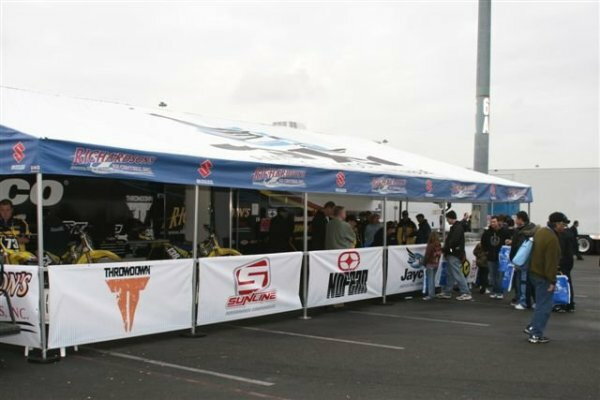 Formerly as Unlimited Awnings, we designed the “quickest set up in the industry” awning. 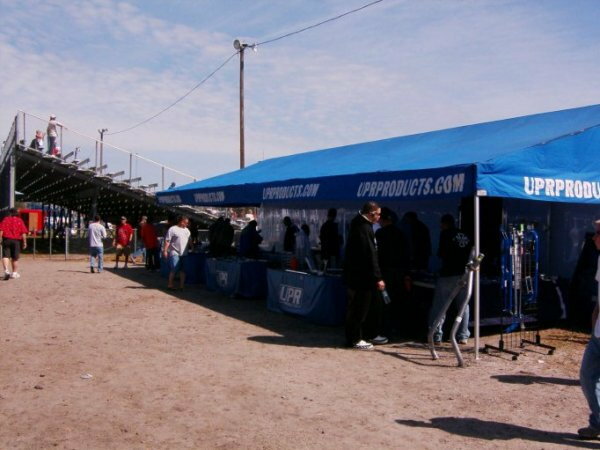 Now as Ultimate Awning we have entered into strategic partnerships with key industry companies to provide an even quicker set up at a more affordable price! 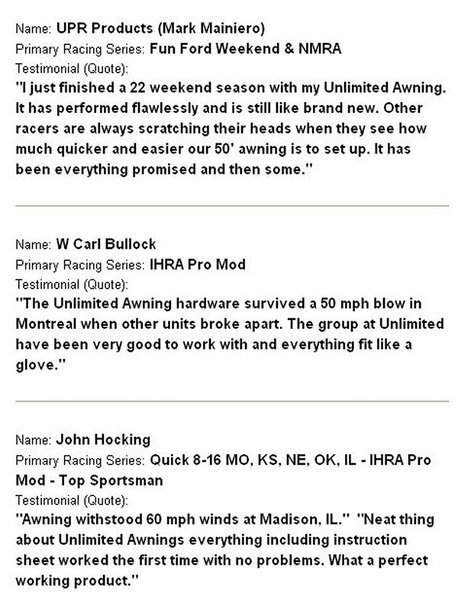 Our patent pending billet aluminum Cam Lock quick connects are not “copies” of the other manufactures but a completely new, purpose built design requiring no quick pins, cables or straps to pull. 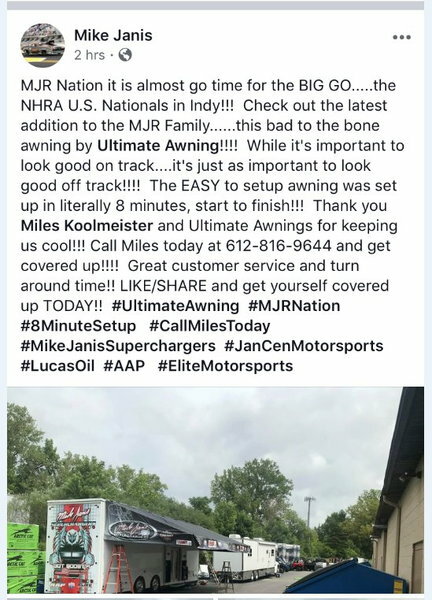 See our Facebook page at UltimateAwning to see what people are saying about how quick and easy it is to set up the Ultimate Awning. 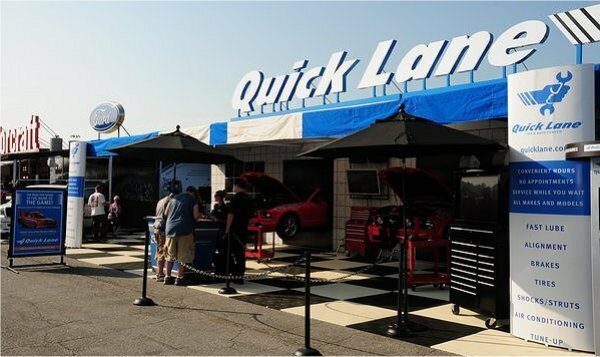 Our innovative billet aluminum quick aligns were the first in the industry to provide fast alignment for connection of frame tubes. 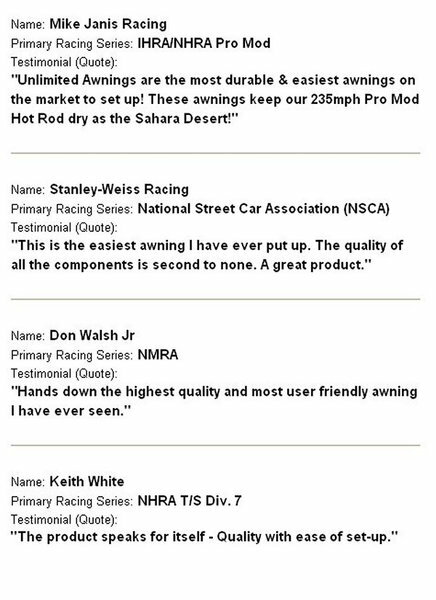 Our quick mount front bars were the first to eliminate the need for quick pins or sliding tubes together. 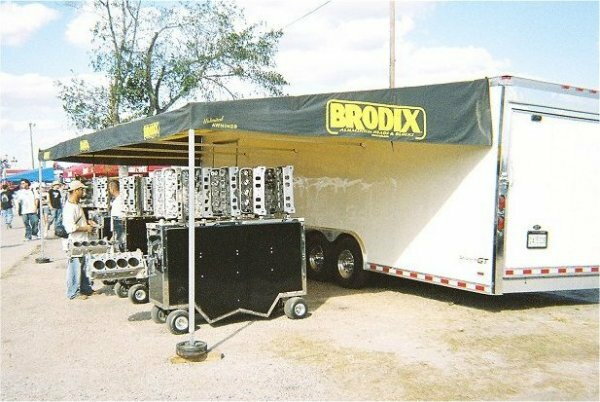 Our quick mount upper bars (sportsman cantilever style trailer) were the first to eliminate the need for quick pins, velcro or sliding tubes together. 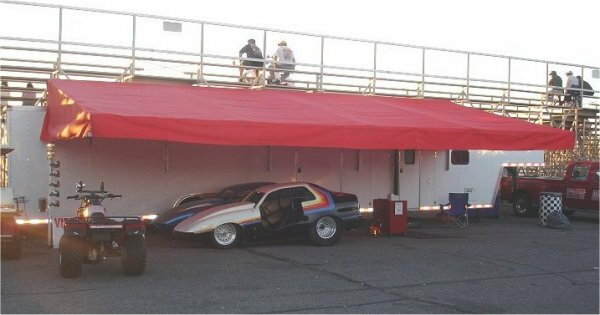 If you do not have the Ultimate Awning, you do not have the quickest set up awning at the most affordable price on your trailer!